When your original sodding is looking a little weathered or has become overrun by weeds, we can help! At Instant Lawns, we offer re-sodding services to help make your lawn look lush and attractive again. 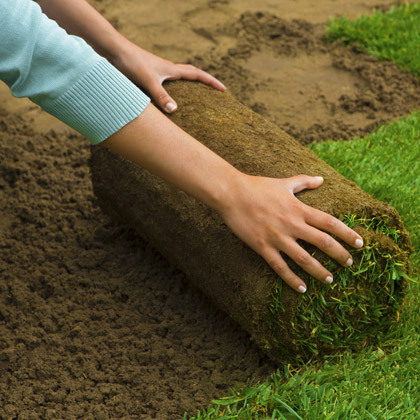 Our team employs the highest quality sod and places it on top of a premium blend of screened peat, topsoil, and mushroom compost to give your lawn a fresh, healthy foundation for growth. In a matter of hours, you’ll get a stunning, healthy, thick turf that will last for years! We’ve laid thousands of square feet of turf over the years so you can rest assured that when you work with us, you’ll receive a superior level of workmanship, reliability, service, and pricing — our sod installation prices are some of the best in Ottawa! You can count on our team to have each project done quickly, professionally, and right the first time! That’s a guarantee. We will transform your yard in a matter of hours with our re-sodding service. When you’re ready to remove your old sod and add fresh new grass to your yard, give us a call, and we’ll be happy to take care of it for you. With our revolutionary Instant Grassification system, you can finally receive a lawn that you can feel proud to show off to your family and friends.